You might be used to seeing a decidedly obvious lack of cords from folks donning Apple’s cordless and wireless AirPods, but this approach isn’t the only one Apple is taking on. In fact, its other company — Beats — is ready with its first totally wireless and cordless option, as it embraces a lack of cables for its fitness-focused Powerbeats range. 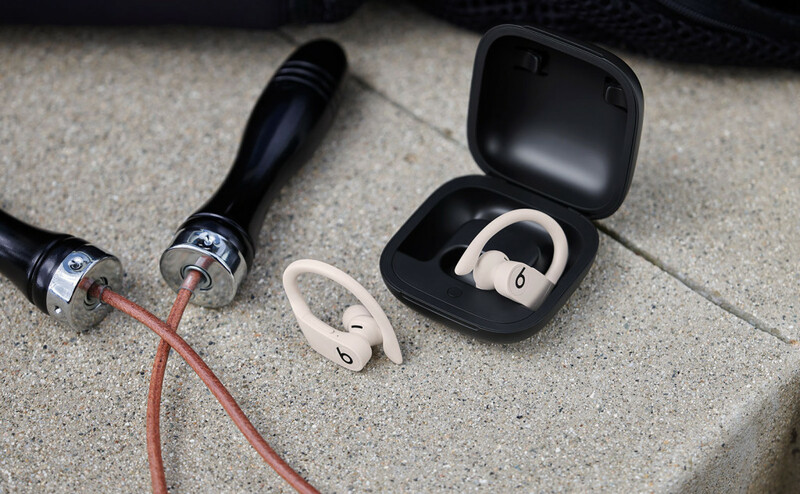 There’s a different audience being targeted with this one, with folks who like to run, jump, and sweat being looked at for this release, coming in the Beats Powerbeat Pro, a pair of totally cordless and wireless earphones that rely on the ear-hook design from the corded Bluetooth earphones from before, but with no cord. That’s a design that tends to be unique for either open-hearing earphones like the B&O EarSet or fitness earphones, and in each case, they cling to the side of the ear so they don’t fall off. 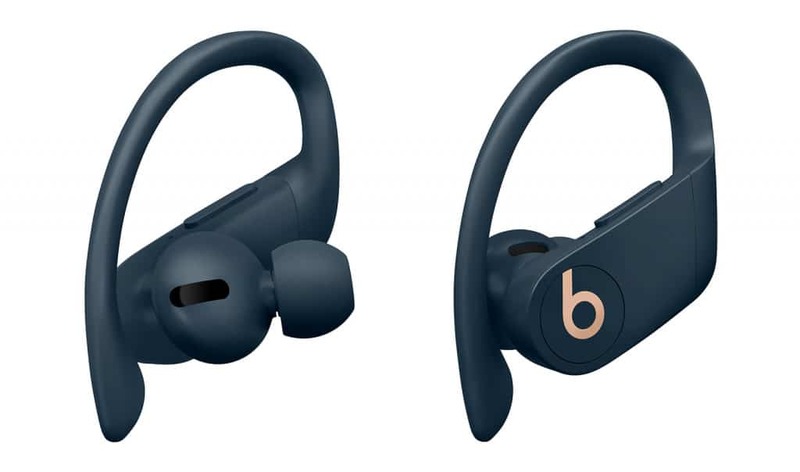 It’s practically the same design seen in the older Beats Powerbeats earphones, but with n o cord, and there are some changes making it 23 percent smaller and 17 percent lighter, complete with sweat and water resistance, and a new chip inside just like the recently revised Apple AirPods. 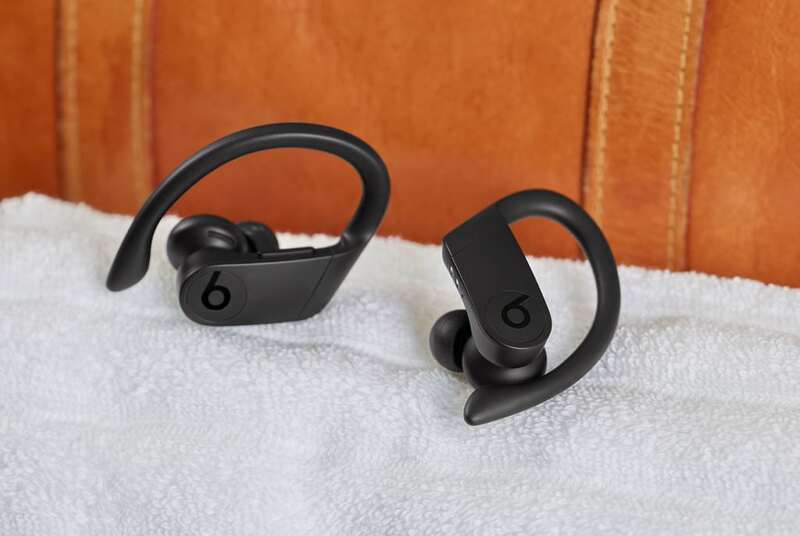 That means Beats is relying on the same H1 chip, keeping the Powerbeats Pro wireless earphones in sync, with voice support for calls relying on an accelerometer that works to pick up on speech and turns on beam-forming microphones to focus on your voice and not on noise or wind. The Apple H1 chip does something else, too, talking to Siri and listening out for the “Hey Siri” command, while Bluetooth is improved to Class 1 for more reach and performance. Battery life on the other hand supports a good nine hours of listening, though the case the Powerbeats Pro arrive and charge in will offer a little over a day’s worth of battery life before charging. And for a unique element, it’s also a set of earphones designed to be ambidextrous, supporting the same controls on either side, meaning you can control them on the left ear or the right ear, and they’ll work the same way regardless. “Powerbeats Pro is a harmonious blend of premium sound, fit and functionality,” said Beats’ Luke Wood. “Powerbeats are already the number one fitness headphones in the world and they are now untethered, with all the benefits of the Apple H1 chip,” he said. Beats’ Powerbeats Pro will arrive in May for $349.95, rocking up in four colours: black, ivory, moss, and navy. Meanwhile, the slightly corded equivalent of the Beats Powerbeats will stick around, too, in stores for $249.95.